Game Development – the new Nordic Export Hit? With Angry Birds, Candy Crush Saga and Minecraft among the world's most played games, game development may well be overtaking crime fiction, flat-pack furniture and music as the Nordic region's latest export niche. Most people play games, a natural extension of our childhood, and have connections to Monopoly and solitaire to cite just two. Today, games are found in almost everyone's pocket in the form of applications (apps) downloaded to smartphones and tablets. 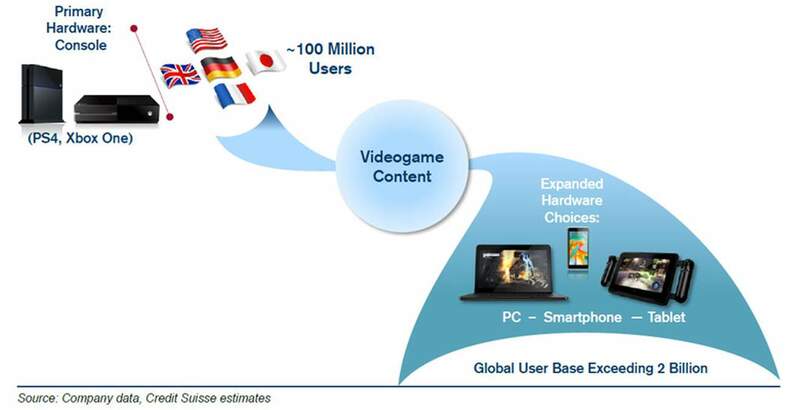 The global user base of online games exceeds 2 billion users, according Credit Suisse estimates. The number of apps downloaded worldwide is likely to reach more than 235 billion in 2015, according to Juniper Research, with games being a large contributor to the number of app downloads. Games is currently the most mature and lucrative app segment, with significant scope for further growth in both developed and developing markets, notably boosted by a strong migration away from handheld game consoles and from increased growth in social gaming. Analysts at ResearchAndMarkets forecast that the global online gaming market will grow 12 percent annually over the period 2014 to 2019. Over the past couple of years, the Nordic game development industry – with Finland and Sweden in the forefront – has boomed, bringing many well-known online games to the rest of the word. Angry Birds, created by the Finnish company Rovio Entertainment and released in 2009, is a good example. The game, originally developed by three students, became a worldwide phenomenon in just a year's time and to date has more than 1.7 billion downloads and hundreds of millions of monthly active users. Estimates by the Finnish Funding Agency for Innovation show that the turnover of the Finnish game industry exceeded to 1 billion euros in 2014 up from a mere 87 million euros in 2008, driven by a vibrant start-up scene. There are currently more than 200 active game developers studios in Finland. Supercell, which is behind the game Clash of Clans, is another well-known Finnish game studio. In Sweden, the development is similar with the turnover of the country's game developers reaching 752 million euros in 2013. A 10th of the world's living population has at some point played a Swedish video game, according to the Swedish Games Industry, the sector's umbrella organization. Minecraft and the Candy Crush Saga, both developed in Sweden, were the App Store's two most profitable games in 2013. Last year, the Stockholm-based company behind Minecraft, Mojang, was acquired by Microsoft for 2.5 billion US dollars, while the initial public offering (IPO) of King Digital Entertainment behind the game Candy Crush Saga on the New York Stock Exchange was the largest ever for a mobile gaming firm. Denmark and Norway are well behind their two Nordic neighbors, but have contributed with the creation of the games Hitman series and Fun Run 2. What Are the Secrets Behind This Success? The Nordic game developers' successes are attributed to a variety of factors: A long tradition of storytelling dating back to the Vikings, with the Icelandic epic saga Edda being the most renowned story that has travelled down through the centuries to us, is one. Another more tangible factor is the region's education system. The school systems in the Nordic countries give students much more free time to think, imagine, rest and have fun than most of their continental peers. The school day finishes early and homework is light, almost non-existent. Pupils are trained them to think independently. Free university education also means that young people have the chance to borrow money to set up a business venture rather than spending it to finance their studies. Additionally, numerous Nordic universities offer game-related programs at all educational levels. The development of games with high quality and an open job market attracting global talent in the case of Sweden are other factors behind the sector's rapid development worth highlighting. The game development sector currently has winds in its sails with a growing demand from large parts of the world, not least because new target groups have emerged. Gaming companies try to reach a greater global diversity by attracting new online users in Asia, Latin America and Eastern Europe – regions where console play never really took off – through free games which can be downloaded onto their smartphones, tablets or PCs, Credit Suisse says. The era when online games were the exclusive domain of teenage boys and young men has long since passed, with the new target groups being seniors, middle-aged commuters and homemakers. There are right now no signs that demand for online games will diminish in the near future. Global aggregate spending on online games is also expected to continue to rise, likely to reach 89 billion US dollars by 2018 from 66 billion in 2013, according to a PwC study. The global nature of the game business and the small size of the four domestic markets just mentioned, each with a population below 10 million, means that the Nordic game studios must think global. Today, their games are often launched directly into an international marketplace and a great majority of their game production exported. The main challenge of the Nordic game studios is thus how to go global, quickly enough. Once the company, most often a start-up, has decided to take the leap and expand internationally, the next challenge occurs: How will it go about to expand in an unknown market. This giant step not only requires access to additional funding, but also to more expertise. Access to the right talent and a rapidly evolving regulatory environment are other issues facing the industry. The fact that companies in the US, Canada and the UK, for example, are entitled to subsidies, and digital competition issues such as different types of infringements of copyrights or trademarks are other threats. Only the future will tell whether the Nordic game developers will be able to keep up with the global competition – which is not resting on its laurels. Is active Game Development – the new Nordic Export Hit?